Is there a connection between sound, vibration and physical reality? Many inquisitive people have searched for a way to demonstrate this premise. Even before the introduction of quantum physics individuals have sought to make waves in "seemingly solid" material visible. In 1787, the German musician and physicist Ernst Chladni published - 'Discovery of the Theory of Pitch', making it one of the first treatises on the science of sound. In this and other works, he laid the foundation for that discipline within physics that came to be called acoustics. He is sometimes referred to as the "father of acoustics". Chladni observed that when a metal plate covered with sand or other similar substance was made to vibrate by running a violin bow across it perpendicularly, a pattern emerged in the sand. Through careful documentation he theorized that sound affects physical matter and that these changes can be repeated. He produced diagrams of his experiments which came to be called, "Chladni figures." He went on the lecture circuit in Europe and demonstrated his finding to live audiences, which included a command performance for Napoleon. Chladni so delighted Napoleon he offered him 6000 francs for his performance. Napoleon then offered 3000 francs to anyone who could explain this phenomenon. This prize was awarded to Sophie Germain in 1816. 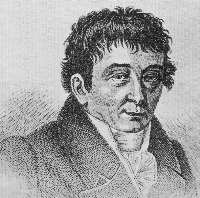 One of Chladni's other proposed theories included that meteorites were extraterrestrial, and in 1794 he wrote a book on the subject. Previously they were considered to be of volcanic origins. Chladni invented a musical instrument called the 'Euphonium' made of glass rods and steel bars that were sounded by being rubbed with the moistened finger, and traveled about Europe performing on this instrument and giving scientific lectures.